The Fusilier Museum London resides at the Tower of London and tells the story of the British infantry regiment from its formation to the present day. This story is told through personal experiences of Officers and Soldiers and draws on the Museum’s rich collection of war diaries, letters, uniforms, flags, silver and insignia. The Museum approached System Simulation expressing a need for a collections management system which would enable them to catalogue their collection, increase accessibility, and fuel some exciting future projects. They also desired a public website for the creation of an online catalogue, where digitised objects can be searched and viewed online. System Simulation provided the Museum with MuseumIndex+, which provides an excellent foundation for maintaining high standards in the management, documentation and care of collections. We worked with the Museum to migrate their data from a previous system into MuseumIndex+ and assisted with the data mapping process. Most of the data mapping was to object records, but we also mapped data to some procedure records, such as Conservation. Using the system’s powerful terminology and thesaurus controls the Museum now benefits from consistent data entry in many fields which they previously did not have, such as location, place, and individual person names. 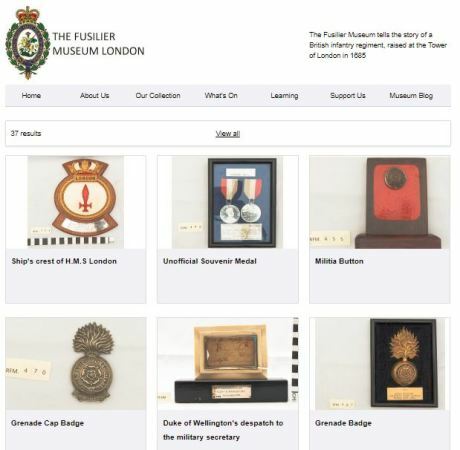 We also provided the Museum with a state of the art CollectionsOnline website, on which selected object records are published from the MuseumIndex+ catalogue. The website not only offers a ‘Search the Collection’ function, but also a research enquiry form, an embedded twitter feed and links to PDF documents. CollectionsOnline is a flexible website solution which allows the Museum to control which objects and images display online, and allows them to create and manage their content independently.